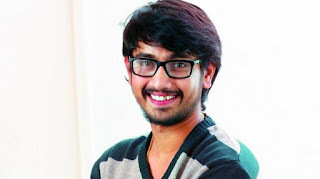 Raj Tharun, who has delivered three successful films since his debut with Uyyala Jumpala, has been dropped from three projects for various reasons. The primary reason, say sources is his over-involvement in his projects, which is not going down well with the makers. According to a source, popular producer Dil Raju, who had announced a while back that he would be doing Sathamanam Bhavathi with Raj Tharun, has now dropped the idea. “The producer is now going with Sharwanand,” says a source. Also, producer Madhura Sridhar, who had announced Raj as the lead actor for Fashion Designer with senior Vamsi as the director, has dropped him from the project. “Yes, I am now searching for another young hero,” says Sridhar, without divulging any other details. A source, meanwhile, reveals that the actor wanted a few changes in the story, which the producer and director didn’t agree to. After the recent success of Edo Rakam Aado Rakam, the same producer had started another film with Raj Tharun with debutant director Nani, but after a few days that project too was shelved.